UK shipping included. Favours are the perfect way to say WELCOME to your guests as they arrive for the wedding reception or at your launch party. You can use a beautiful favour bag as a place card on your guests' table - we can tag them with your personal message and guest's name. Favours prove a great gift idea for your VIP guests as part of our Hotel Range. 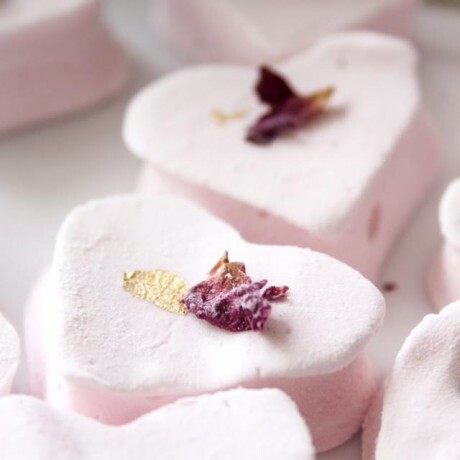 You have a choice of 2 delicious marshmallow cubes or 4 hand-cut heart shaped mallows. This order is for 100 favour bags. Contact us via the "Contact the Seller" button for a quote if you require fewer. Sugar, Gelatine (FISH), cornflour, salt, water. Delicious. How a marshmallow should be. Sublime taste experience and texture. I haven't used the burner yet but I can say that the marshmallows are fab from a previous order. Looking forward to surprising my dinner guests with the toasted variety using the burner at the table. I hate having to make desserts when I'm entertaining so this sort of treat fits the bill for me. I bought these for my mum as a gift and she is delighted. I bought these for my mum as a gift and she is delighted. The chocolate ones are ‘divine’ apparently! I just wanted to let you know that the marshmallows were a great success. The flavours were so distinctive and natural, and the little finger packs looked very smart. I am a big fan of these delicious marshmallows. I am a big fan of these delicious marshmallows. They melt in the mouth and taste divine. My favourite is raspberry and lemon, but the chocolate ones are knock-out as well! They come beautifully wrapped in a box - a real treat or a sophisticated present for someone special. The service from this company was fantastic, definitely went above and beyond all expectations at a very busy time of year (I ordered just before Christmas). The product was beautifully presented and was given as a gift to much delight from the recipient! Highly recommended!! Great product, great idea, great service perfect thank you. 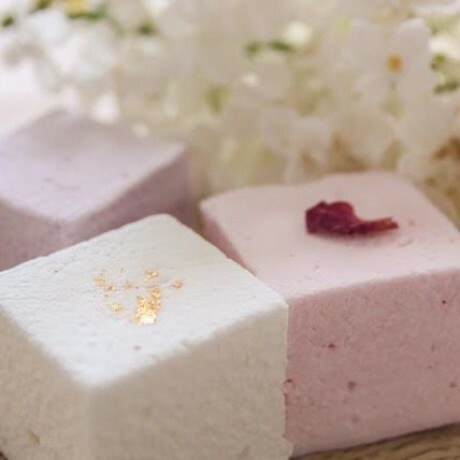 the marshmallows were exquisite, beautifully wrapped and presented.